Shayne O‘ Brien was born and raised in County Tipperary, Ireland. He spent 4 years in London, UK where he graduated from the London College of Music with a Bachelors degree in Jazz Performance and a minor in Music Education. Shayne’s time in London was busy and fulfilling. He played on London’s West End, made appearances on BBC with the Collaborative Orchestra and has had performances with the Coldstream Guards of Westminster. 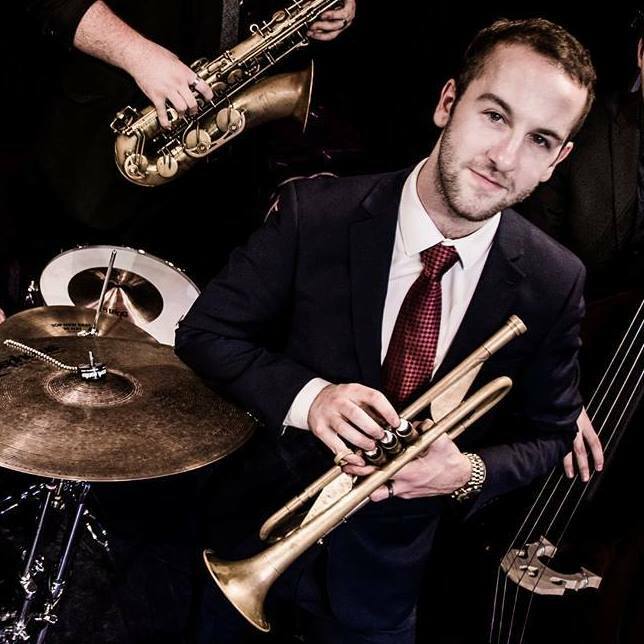 On the jazz side of things, Shayne has played with numerous big bands in London which include playing lead trumpet for the National Youth Jazz Orchestra (NYJO) and his own band, The WL Jazz Collective. Shayne is no stranger in the drum corps/marching band community. He started his marching career in Ireland in 2008 where he was introduced to Drum Corps International. After marching in Ireland, Shayne decided to travel across seas in 2011 to march Kidsgrove Scouts, who are based in the U.K. In 2013 and 2014 Shayne marched with The Cadets as a trumpet player. He returned to DCI in 2016 for his age out where he was a lead trumpet soloist for the Bluecoats Drum & Bugle Corps, who were crowned DCI World Champions for the first time in history in 2016. Teaching is a very passionate part of Shayne’s life and has led him to teach in several different parts of Europe and the United States. Shayne currently resides in Texas with his beautiful wife where he teaches several high school bands and appears at many as a clinician. In 2017, Shayne was apart of the Blue Knights Brass staff which amplified his love and passion for the world of education. He is now entering his second season as an educator in DCI and is extremely excited to be apart of the Phantom Regiment brass staff to continue their pursuit for excellence and tradition.